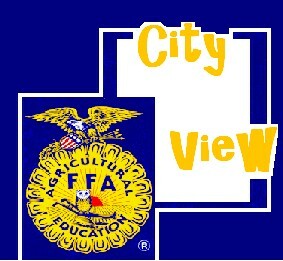 Welcome to the City View FFA Web Page! If you are a part of the National FFA Organization than you are a member of the BEST organization ever established. In no other organization will you acquire the skills that you will gain throughout your journey in the FFA. Dive in! Opportunities that will assist you for the remainder of your life are just below the surface. FFA will do for you what you LET it do for you! MAKE IT HAPPEN! Use this web site as a tool to assist you throughout your FFA experience. Use the tabs along the top of the page to get to know your ag science teachers, view documents, links, membership information and more.